Equestrian Friends Value Packs are an all new My Little Pony trading card set for you to collect! 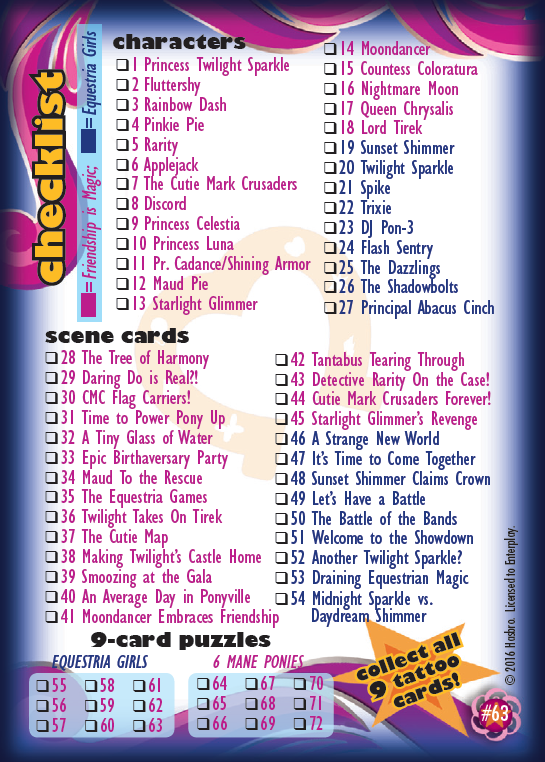 This set features cards from the Friendship is Magic television series and the Equestria Girls animated films, including a special Equestria Girls 9-card puzzle. There's fun for everyone in this exciting card set! Click here to see all the cards.